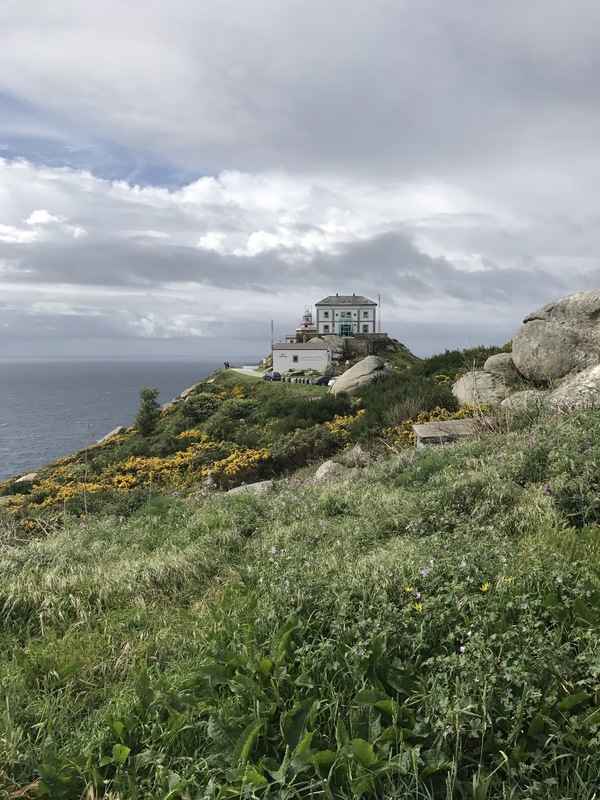 Finisterre, or ‘finis terre’, was once thought to be the ‘end of the world’. 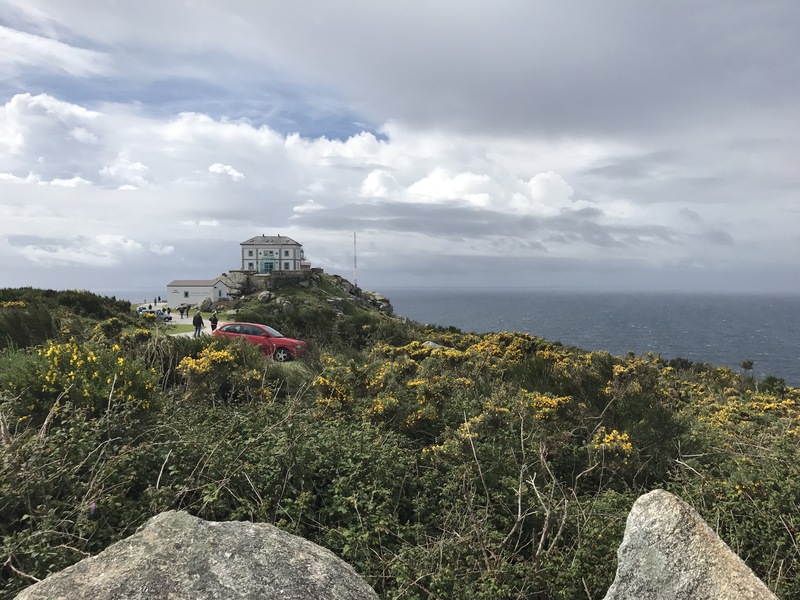 It’s easy to see why when you stand at Faro de Fisterra and marvel at the vastness as land gives way to endless ocean. It is truly a spectacular sight, one everyone should strive to visit, and one I’ve had the good fortune of seeing twice now. 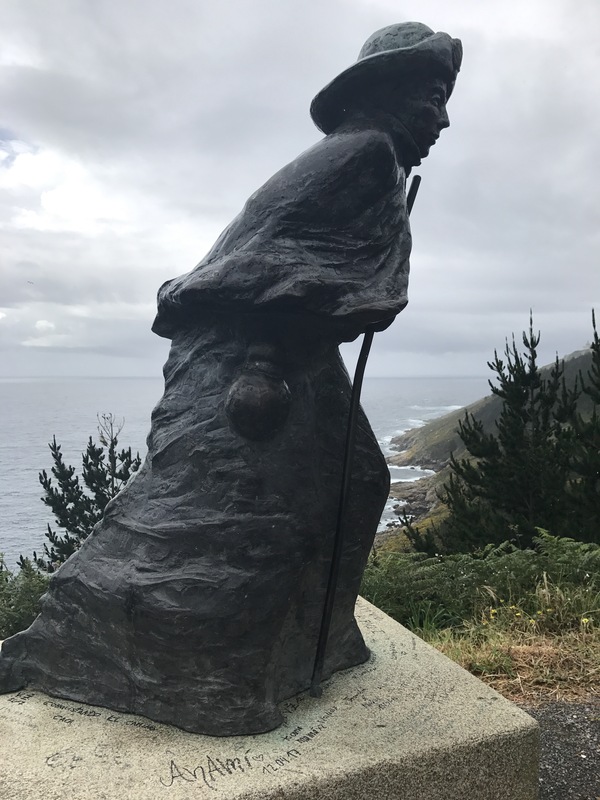 It is one of the Camino’s great hidden treasures and renown as the westernmost point in Europe. 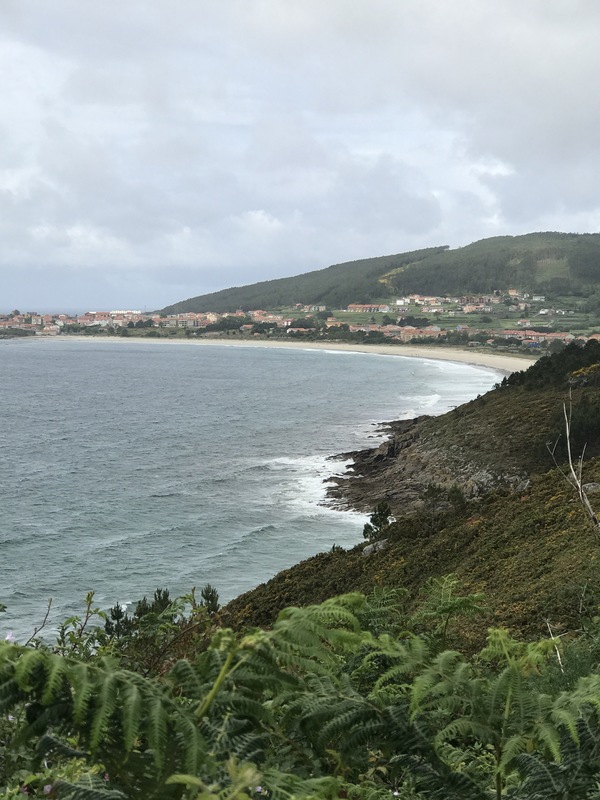 The Fero de Fisterra…the final edifice at the end. Ara Solis…the altar to the sun. Way mark 0.00 km…the finish! 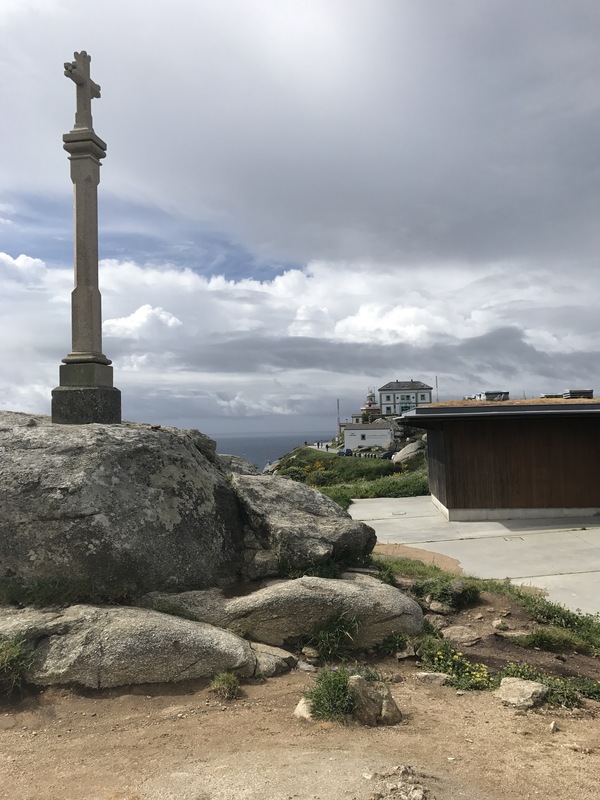 The cross just below the Faro de Fisterra. It’s straight down to the sea from here. No, that’s not my boot…but it could be! 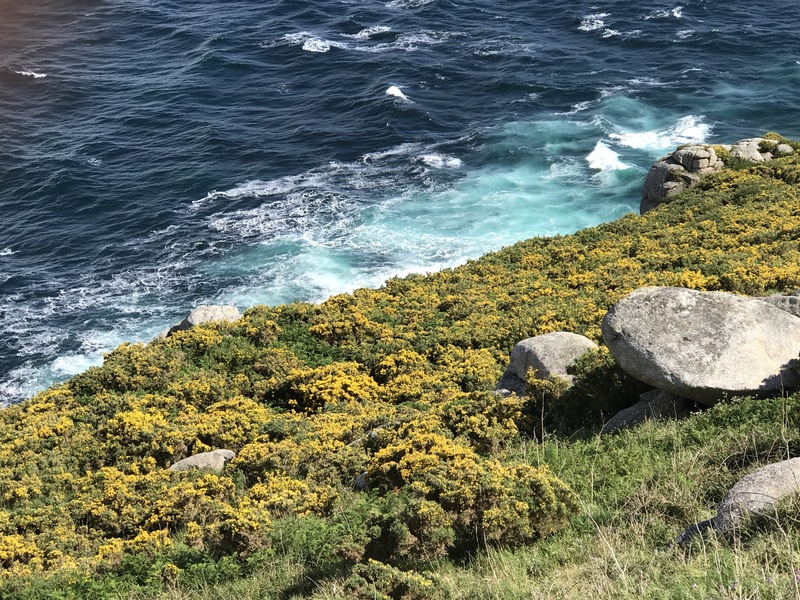 The gorse with it’s yellow bloom and thorny edges is a fitting plant for the craggy coastline of Finisterre. The different shades of blue as the water crashed against the shore were brilliant. 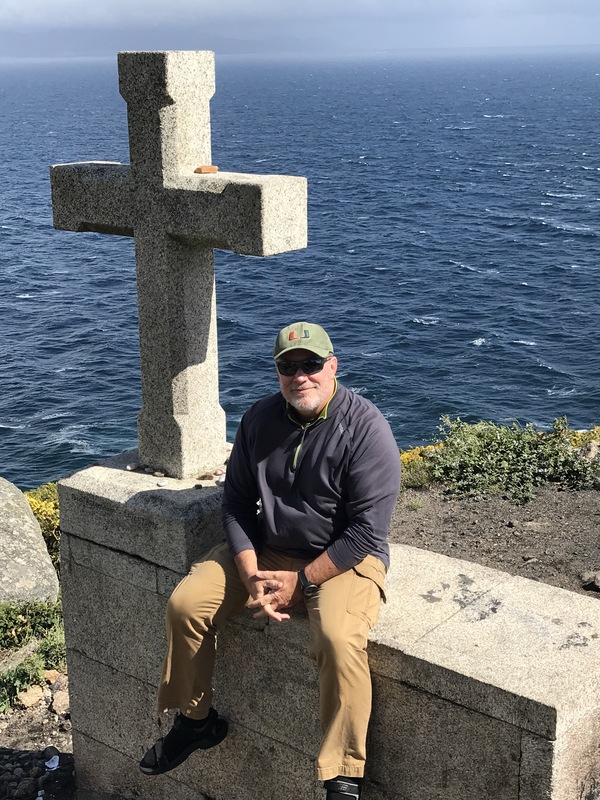 Today, special in so many ways, was not only the end of my pilgrimage, but happens to be my 63rd birthday. Celebrating here may not be as cool as my 60th with Catherine in Pamplona, but it’s a close 2nd. The Hotel Rustico Spa I’m in is quaint, charming and has great views of the ocean from the room windows. I’m on the western facing side, so I’m told the sunset is spectacular, but it’s also very late (approx 10 pm) being so far north and west. 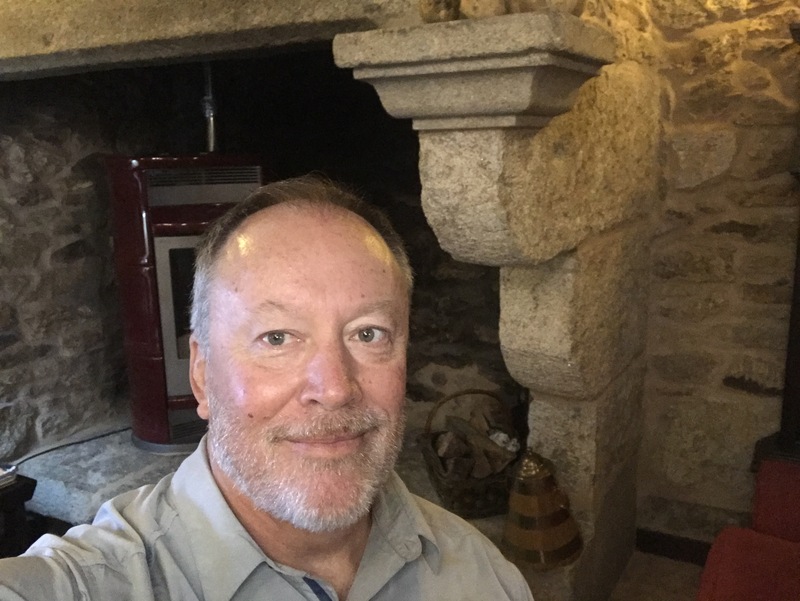 It won’t make this blog post, but hopefully tomorrow’s as I begin my trek back to Porto for my flight home on Saturday. When I arrived here early afternoon the weather was really brutal…high winds, cold and raining…sometimes very hard. 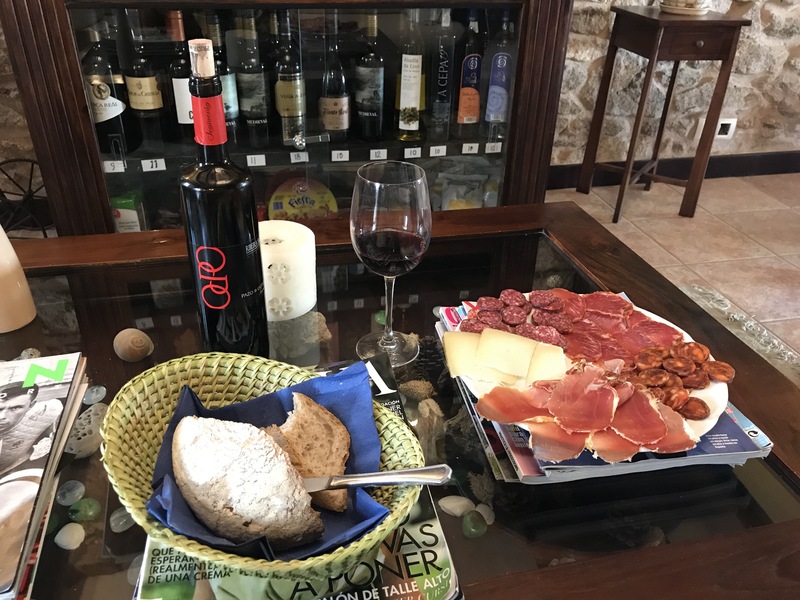 To escape that into the warmth of this quaint inn, and then have a truly unexpected surprise…the gift of fine cheese, sausages, hams, bread, wine and a slice of birthday cake…all arranged by our daughter Meghan…was very emotional. Thank you Megie! One of the best birthday gifts ever! 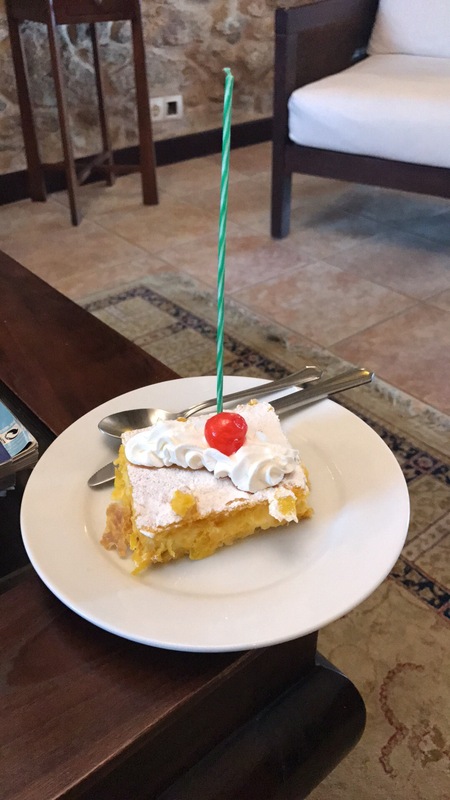 Spanish birthday cake! That’s one heckuva candle, no? Look what a beautiful and delicious spread Megie had waiting on me when I arrived. 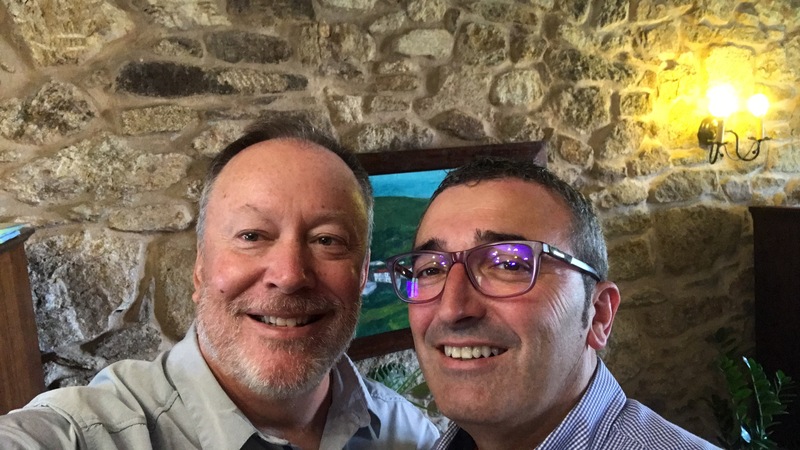 The birthday boy with inn proprietor Juan…a really good guy. Oh Santiago…the weather you endured when taking your message of love and salvation to the people of Spain. God bless you good and faithful servant. 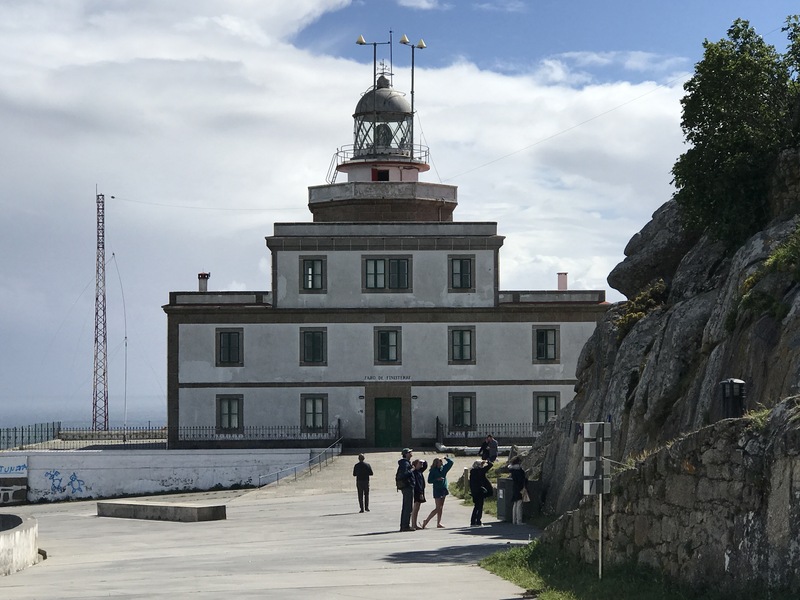 A distant and majestic view of Faro de Fisterra. The perfect place to give thanks for a safe pilgrimage. Thank you Lord. 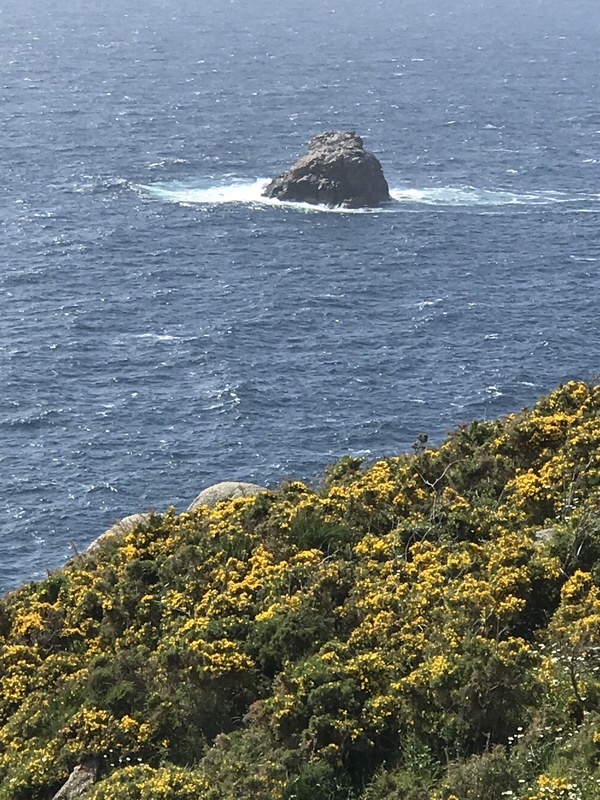 Gorse and the endless Atlantic frame the Faro de Fisterra. It’s quite a sight to see. The vast Langosteira Beach surrounding Cape Fisterra. My injured left ankle isn’t any worse today, but it’s also not any better. 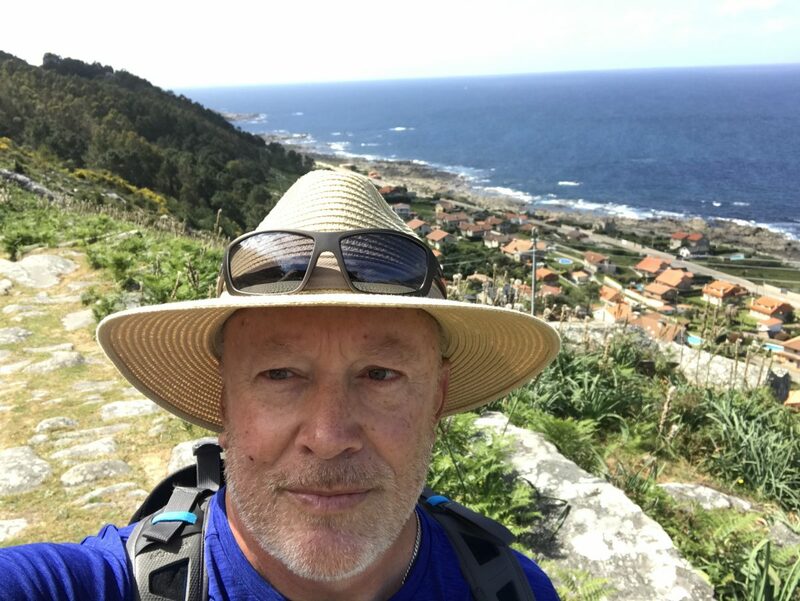 My good friend Briant back home happens to be a Podiatrist, but he also happens to be vacationing with his bride Nydia off the coast of Portugal in Madeira. I took a chance yesterday and sent him a picture of my swollen ankle with hopes he’d have a suggestion. 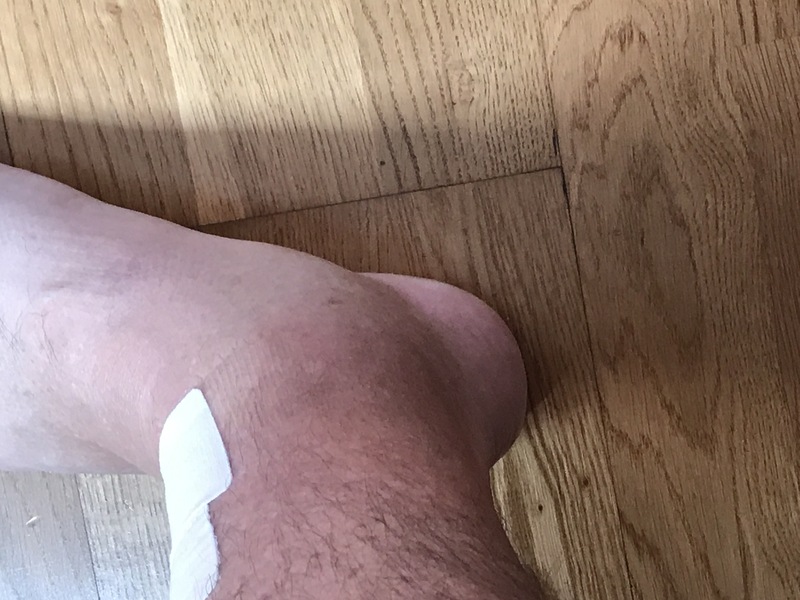 Thankfully he received the message and responded that he thought I had some posterior tendon issue he coined as PTTP…but then went on to say that we should probably rename it to mean ‘Portuguese Trail Tendon Problem’. Yeah, that’s what 265 miles will do to you when you take a city car offroad. Somewhere along my walk from Melbourne Beach to Key West I blew a tire in Marathon. These walks really are insane when you start putting numbers to maps. Catherine and I walked the equivalent of Melbourne Beach to Atlanta in 2014…and not on smooth, flat roads. This one was supposed to be ‘just’ 300 miles. The mind was willing, but the body didn’t agree. 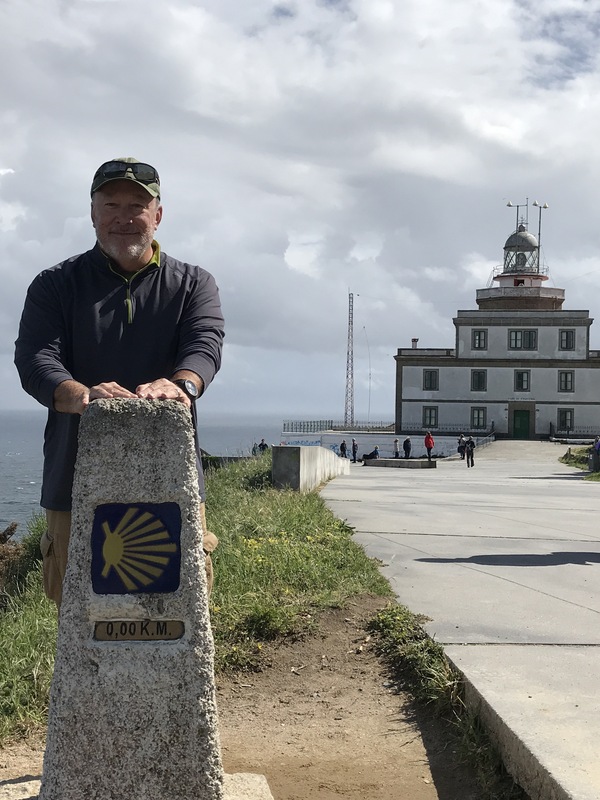 Life happens on the Camino. You learn to deal with it. 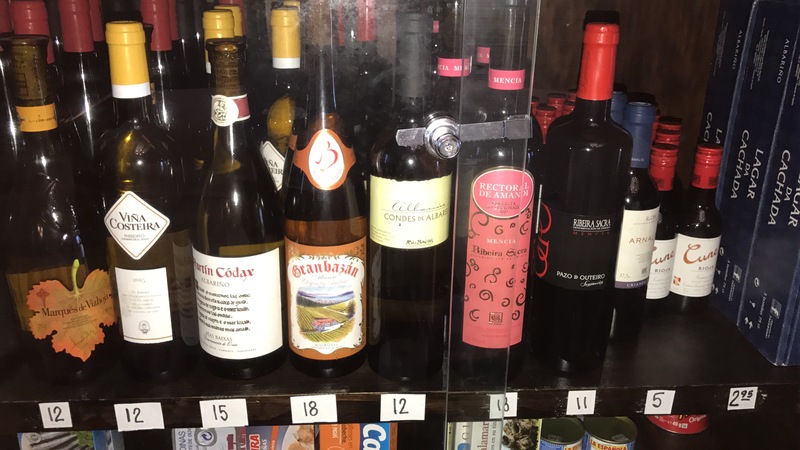 Only in Spain does the snack bar sell sardines and wine. 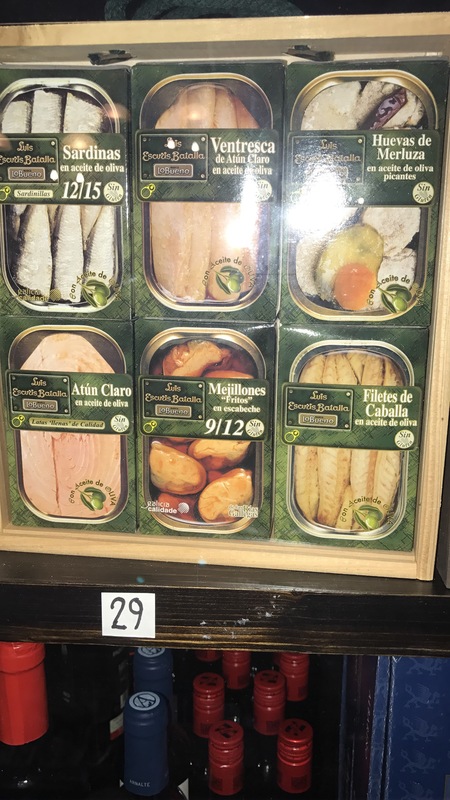 You’ve gotta love the Spanish! Better than Coke, Pepsi and Mountain Dew, right? I’m very glad to be here…even more glad to be finished and heading home! The PTTP syndrome…hurts like hell. 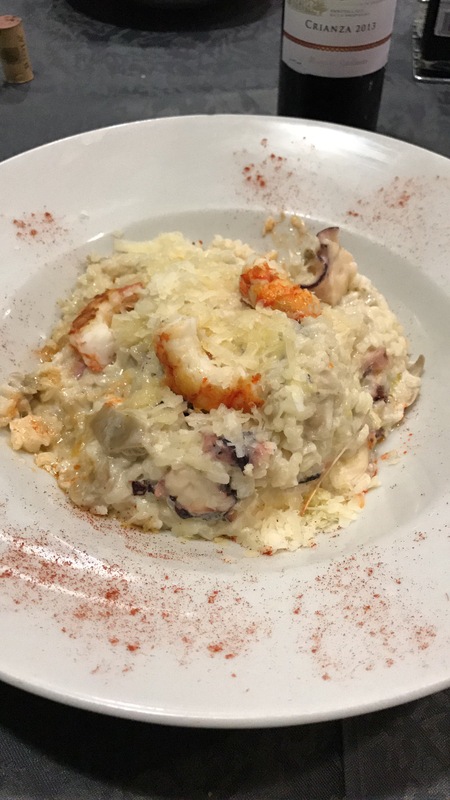 I had to go for the risotto with pulpo and shrimp last night…and a Rioja to chase it. Tomorrow I have a typical 3.5 hour car trip back to Porto, Portugal that will probably be more like 4.5-5 hours based on word that there will long security lines crossing the border due to Pope Francis being in Fatima for the 100 year anniversary of the apparition of the Virgin Mary. That’s worth the delay. 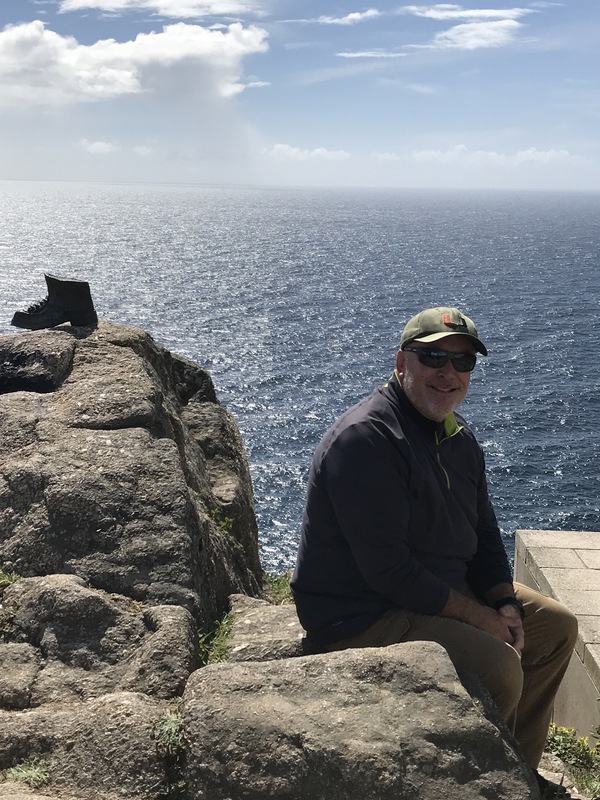 An amazing time to be in Spain & Portugal. Buen Camino family and friends. Adios St. James…Buenos tardes on Saturday Catherine when we’re together again at MIA. I can’t wait to see you honey…I’ve missed you very much.